Cresta Plastics has long supported and moulded products for many local SA businesses. 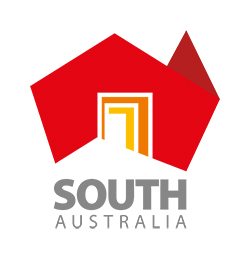 We have always been aware that supporting and buying local directly supports our local economy and has positive long term benefits for South Australia. Buying local is not always easy as more companies look to reduce their manufacturing costs and have their product made overseas. Over the coming months Cresta hopes to shine the spotlight on some amazing South Australian success stories. In Spotlight: Hold-Ups Pty Ltd David Lutze has been making paper-holding products since the late 1980’s. Products include Hold-ups, Organza and the Restaurant rail. These fantastic products hold important papers in the office, factory or meal dockets in a busy restaurant kitchen. Cresta have moulded the end caps for this unique system since the early 1990’s. Having used this system in my office for the past 15 years, I can certainly attest to its durability and consider it a necessary part of the office furniture. Creative Aussie has been developing innovative paper holding and paper display devices since 1987. “There’s always been a great need for paper to be held for reading, display and easy access,” said company founder David Lutze. “Our original aim was to develop a paper and memo holder which could be used around the office, workplace and home that would be versatile and easy to use,” Thus the paper holder Hold-Ups was born. “Once it was developed the name was obvious. It holds up memos, plans, notices, posters, x-rays, food orders, advertising, photos and notes. And there’s no hold up removing them when you want to,” said Mr Lutze. The original Hold-Ups, with its simple, secure glass marble grip found its way into schools, offices, factories, supermarkets, restaurants, cafés and anywhere there was a need for paper management. Creative Aussie then recognised the need for a stylish office model that would suit contemporary interiors designed by architects and interior designers. Organiza was developed to meet this need and can be seen widely in boardrooms, corporate environments and on whiteboards. Restaurant Rail is the world’s first meal and drink docket holder with a unique pull through action. Restaurant Rail is suitable for both horizontal and vertical use and can be found on bars and counter tops or wherever food and drink orders must be managed. Creative Aussie aims to bring quality and attractive design to all paper holding and poster display applications.